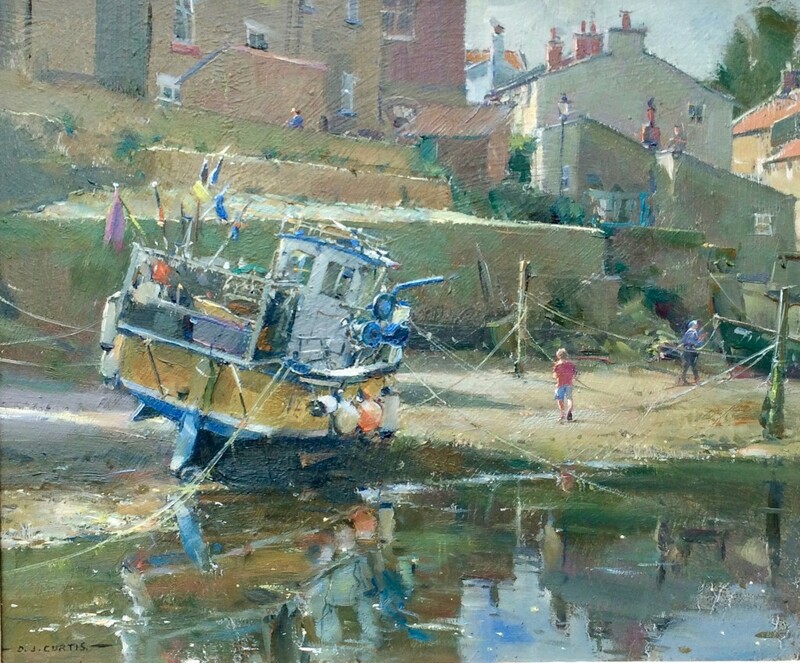 We are delighted that David Curtis has very kindly agreed to tutor again at Staithes Art School. Here in Staithes he is a familiar figure indeed, heading off with his easel and paint box in all weathers, at any hour between dawn and dusk, to find yet another viewpoint from which to paint. He is one of the most successful and best known artists in the UK, having won countless awards for his spectacular art. His paintings are held in a number of prestigious public and private collections worldwide. Recently he has completed a rare commission, having been selected as the artist of his generation to capture in paint the Changing of the Military Colours ceremony with Her Majesty Queen Elizabeth II. Always keen to nurture new talent, David is also the author of several books and presenter of a number of films, all illustrated with his own stunning artwork, offering help, advice and inspiration to fellow artists. This painting weekend will be a rare opportunity for aspiring artists to learn from him in person in one of his best-loved painting locations.